You’d think that people might think twice about cheating in EVE Online, given that in 2018 alone, the company banned tens of thousands of botters and RMT participants. But you’d be wrong! CCP’s latest security dev blog counts 637 accounts banned for client hacking specifically, plus a few thousand more for hacking, botting, and RMT. 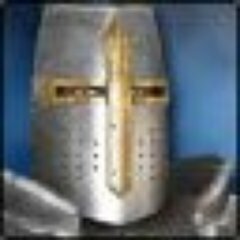 The company says it’s working with Ebay and legal teams to crack down on RMT specifically and begs players not to engage in it. Meanwhile, CCP CEO Hilmar Pétursson gave PC Invasion a new interview on the company that has a baffling characterization of last year’s Pearl Abyss buyout in which the company’s original investors “kept CCP limited to short-term planning for its games,” which was “why CCP decided it was time for a change” and chose Pearl Abyss. Anyone could have told you that setting up F2P accounts in EVE was a recipe for botting. Not sure why they think otherwise as it’s so restrictive in what the game offers you for F2P not sure who else the system would be for. How many PLEX would you like to bet that every single banned bot account was running on a F2P? I bet your entire cupboard (you better have stocked it or bet is off) that not one of these had a subscription tied to it. CCP never cared about botting rock mining. Why would they? It is literally the worst resource gathering activity in the history of online gaming. What self hating weirdo would sit there for hours pressing a button at the same backdrop? “Pearl Abyss’ Korean roots also played a role, as Pétursson explained that worldwide gaming trends often begin there. 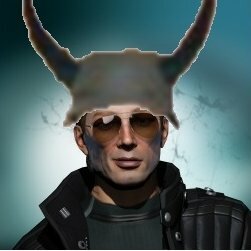 When I think I can’t hate CCP any more than I already do – they surprise me yet again. Love the part where the writer describes the CSM as a democratically elected body that represents the playerbase’s interests, with zero shred of irony or nuance about the reality. I read that aloud to my husband and he choked on his coffee laughing. Steven Wong is likely Hilmar Pétursson’s pen name. They may post as many numbers of “banned cheaters” as they want to – I do not see the decrease of complaints of botters at r/eve/ subreddit, especially since CCP made it so easy to convert isk to sub time and since they still consider “multiboxing” (running multiple active characters from same PC/IP) as allowed activity (with certain restrictions, which are easy to go around until someone manually reports you). If /r/eve is your benchmark you’ll never see a decrease in complaints about anything. No, it’s not the only benchmark. My benchmark includes my own eyes, and my own EVE account. Which I made in 2006 and stopped paying for and playing a long time ago in part because I have personally observed all the ratting Nyxes and Rorqual AFKers while flying through many “rental spaces” of alliances like BoT in the northwest and KWGA in the south. And judging by /r/eve/ posts with sufficient proof, nothing much have changed since I have left, including seeing SAME EXACT pilot names and corp names that I have witnessed botting before.